Quality Park 90020 Gummed Standard Business Envelope - 4.12" x 9.5"
Standard business envelopes with full-size flaps are made for all applications. 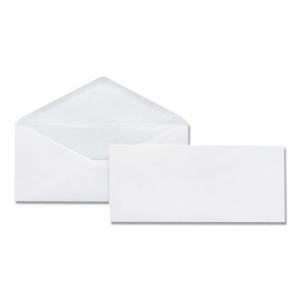 Envelopes offer sturdy white wove paper and super white brightness. 24 lb.